Dental implants are a complete tooth replacement. There are many reasons why a patient might consider dental implants to replace their natural teeth, but not everyone is a good candidate. 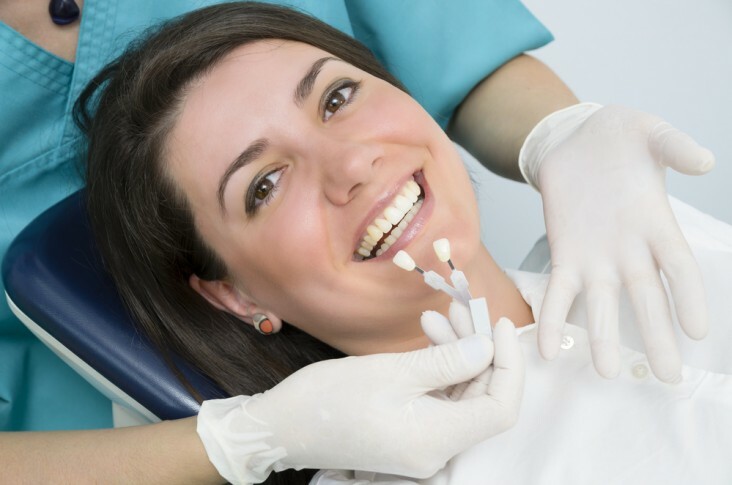 Here at Loveable Smiles, we use the most updated form of technology with a dental cat scan in order to determine if the implants can be safely placed. We place your overall health above our bottom line, and we will never recommend a treatment that is not in your best interest! Now that we have determined you are a good candidate for dental implants, what are the benefits to this procedure? The benefits can be numerous, but we’ve narrowed it down to our top three. Lost a tooth due to decay or accident? An implant can prevent your other teeth from shifting into the empty space it left behind. When you lose a tooth, the surrounding teeth will begin to shift, which can cause a number of dental complications. Unevenly spaced or crowded teeth are more difficult to clean and could create a bigger expense down the road. Placing a dental implant will keep your teeth properly spaced and easier to clean. Did you know a fixed bridge can cause your jawbone to deteriorate underneath the missing tooth? This occurs because that area of the jaw doesn’t receive stimulation to the bone because there is no tooth root. The same will occur with dentures that are not implant-supported as well. The longer you wait, the more likely you are to have a jawbone that can no longer support dental implants without a bone graft. If you experience jawbone deterioration because of missing teeth, it can cause your face to appear sunken in. This can add unwanted years to your appearance! Many people with dentures complain of having thin lips and sunken cheeks. The posts of dental implants will provide stimulation to help produce a healthy jawbone and keep your face looking full and youthful. Not every dentist is qualified to perform dental implant surgery. Only 12% of general dentists in the US place implants, and only 5% of those use the most updated form of technology. Dr. Korenman at Loveable Smiles is one of these top dentists. The updated technology Dr. Korenman uses allows him to get more data to ensure safer and more predictable results for our patients. We invite you to schedule a consultation at Loveable Smiles in Richardson, TX, where we have the tools and experience to help. Please call us at 972-231-0585, or use our online form to contact us today!